Brains Chemistry Computer Science Facts Genetic Engineering Health Ideas Questions Trending Truth Youtube How to Cure Aging – During Your Lifetime? Old people often have limited regenerative abilities and are more susceptible to disease, syndromes, and sickness than younger adults. The organic process of ageing is called senescence, the medical study of the aging process is called gerontology, and the study of diseases that afflict the elderly is called geriatrics. The elderly also face other social issues around retirement, loneliness, and ageism. Old age refers to ages nearing or surpassing the life expectancy of human beings, and is thus the end of the human life cycle. Terms and euphemisms include old people (worldwide usage), seniors (American usage), senior citizens (British and American usages), older adults (in the social sciences), the elderly, and elders (in many cultures—including the cultures of aboriginal people). Cellular senescence is the phenomenon by which normal diploid cells cease to divide. 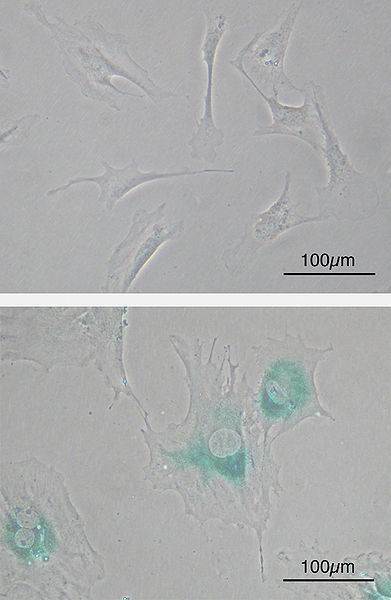 In culture, fibroblasts can reach a maximum of 50 cell divisions before becoming senescent. This phenomenon is known as "replicative senescence", or the Hayflick limit. Replicative senescence is the result of telomere shortening that ultimately triggers a DNA damage response. Cells can also be induced to senesce via DNA damage in response to elevated reactive oxygen species (ROS), activation of oncogenes and cell-cell fusion, independent of telomere length. As such, cellular senescence represents a change in "cell state" rather than a cell becoming "aged" as the name confusingly suggests. Although senescent cells can no longer replicate, they remain metabolically active and commonly adopt an immunogenic phenotype consisting of a pro-inflammatory secretome, the up-regulation of immune ligands, a pro-survival response, promiscuous gene expression (pGE) and stain positive for senescence-associated β-galactosidase activity. The nucleus of senescent cells is characterized by senescence-associated heterochromatin foci (SAHF) and DNA segments with chromatin alterations reinforcing senescence (DNA-SCARS). Senescent cells affect tumour suppression, wound healing and possibly embryonic/placental development and a pathological role in age-related diseases. The experimental elimination of senescent cells from transgenic progeroid mice and non-progeroid, naturally-aged mice led to greater resistance against aging-associated diseases. One of these pathways involves the gene Sir2, a NAD+-dependent histone deacetylase. In yeast, Sir2 is required for genomic silencing at three loci: the yeast mating loci, the telomeres and the ribosomal DNA (rDNA). In some species of yeast, replicative aging may be partially caused by homologous recombination between rDNA repeats; excision of rDNA repeats results in the formation of extrachromosomal rDNA circles (ERCs). These ERCs replicate and preferentially segregate to the mother cell during cell division, and are believed to result in cellular senescence by titrating away (competing for) essential nuclear factors. ERCs have not been observed in other species (nor even all strains of the same yeast species) of yeast (which also display replicative senescence), and ERCs are not believed to contribute to aging in higher organisms such as humans (they have not been shown to accumulate in mammals in a similar manner to yeast). Extrachromosomal circular DNA (eccDNA) has been found in worms, flies, and humans. The origin and role of eccDNA in aging, if any, is unknown. Despite the lack of a connection between circular DNA and aging in higher organisms, extra copies of Sir2 are capable of extending the lifespan of both worms and flies (though, in flies, this finding has not been replicated by other investigators, and the activator of Sir2 resveratrol does not reproducibly increase lifespan in either species.) Whether the Sir2 homologues in higher organisms have any role in lifespan is unclear, but the human SIRT1 protein has been demonstrated to deacetylate p53, Ku70, and the forkhead family of transcription factors. SIRT1 can also regulate acetylates such as CBP/p300, and has been shown to deacetylate specific histone residues. In higher organisms, aging is likely to be regulated in part through the insulin/IGF-1 pathway. Mutations that affect insulin-like signaling in worms, flies, and the growth hormone/IGF1 axis in mice are associated with extended lifespan. In yeast, Sir2 activity is regulated by the nicotinamidase PNC1. PNC1 is transcriptionally upregulated under stressful conditions such as caloric restriction, heat shock, and osmotic shock. By converting nicotinamide to niacin, nicotinamide is removed, inhibiting the activity of Sir2. A nicotinamidase found in humans, known as PBEF, may serve a similar function, and a secreted form of PBEF known as visfatin may help to regulate serum insulin levels. It is not known, however, whether these mechanisms also exist in humans, since there are obvious differences in biology between humans and model organisms. Sir2 activity has been shown to increase under calorie restriction. Due to the lack of available glucose in the cells, more NAD+ is available and can activate Sir2. Resveratrol, a stilbenoid found in the skin of red grapes, was reported to extend the lifespan of yeast, worms, and flies (the lifespan extension in flies and worms have proved to be irreproducible by independent investigators). It has been shown to activate Sir2 and therefore mimics the effects of calorie restriction, if one accepts that caloric restriction is indeed dependent on Sir2. 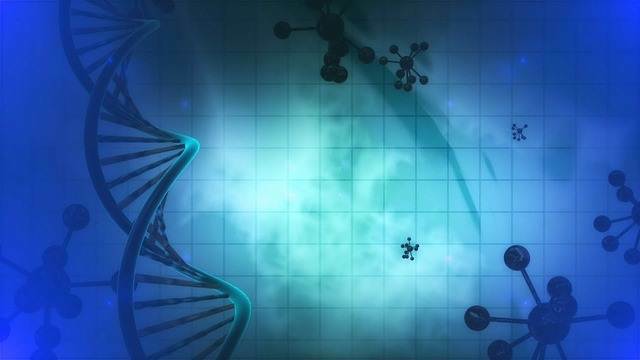 Gene expression is imperfectly controlled, and it is possible that random fluctuations in the expression levels of many genes contribute to the aging process as suggested by a study of such genes in yeast. 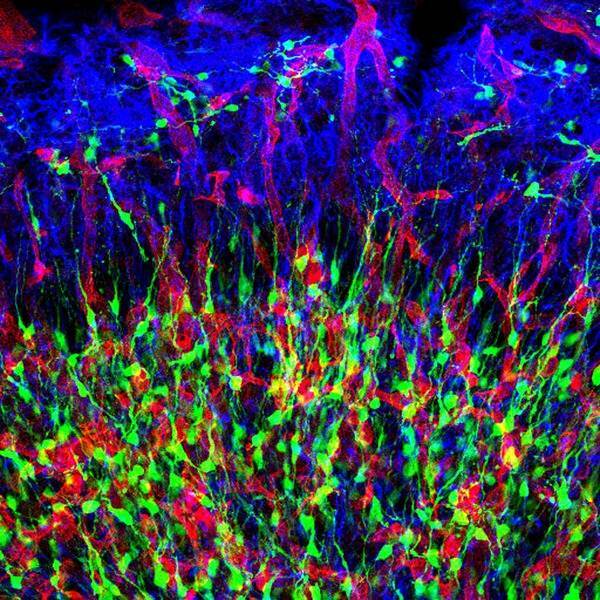 Individual cells, which are genetically identical, none-the-less can have substantially different responses to outside stimuli, and markedly different lifespans, indicating the epigenetic factors play an important role in gene expression and aging as well as genetic factors. Nicotinamide adenine dinucleotide (NAD) is a coenzyme found in all living cells. The compound is a dinucleotide, because it consists of two nucleotides joined through their phosphate groups. One nucleotide contains an adenine base and the other nicotinamide. Nicotinamide adenine dinucleotide exists in two forms: an oxidized and reduced form abbreviated as NAD+ and NADH respectively. In metabolism, nicotinamide adenine dinucleotide is involved in redox reactions, carrying electrons from one reaction to another. The coenzyme is, therefore, found in two forms in cells: NAD+ is an oxidizing agent – it accepts electrons from other molecules and becomes reduced. This reaction forms NADH, which can then be used as a reducing agent to donate electrons. These electron transfer reactions are the main function of NAD. However, it is also used in other cellular processes, the most notable one being a substrate of enzymes that add or remove chemical groups from proteins, in posttranslational modifications. Because of the importance of these functions, the enzymes involved in NAD metabolism are targets for drug discovery. In organisms, NAD can be synthesized from simple building-blocks (de novo) from the amino acids tryptophan or aspartic acid. In an alternative fashion, more complex components of the coenzymes are taken up from food as the vitamin called niacin. Similar compounds are released by reactions that break down the structure of NAD. These preformed components then pass through a salvage pathway that recycles them back into the active form. Some NAD is also converted into nicotinamide adenine dinucleotide phosphate (NADP); the chemistry of this related coenzyme is similar to that of NAD, but it has different roles in metabolism. In rat liver, the total amount of NAD+ and NADH is approximately 1 μmole per gram of wet weight, about 10 times the concentration of NADP+ and NADPH in the same cells. The actual concentration of NAD+ in cell cytosolis harder to measure, with recent estimates in animal cells ranging around 0.3 mM, and approximately 1.0 to 2.0 mM in yeast. However, more than 80% of NADH fluorescence in mitochondria is from bound form, so the concentration in solution is much lower. Data for other compartments in the cell are limited, although in the mitochondrion the concentration of NAD+ is similar to that in the cytosol. This NAD+ is carried into the mitochondrion by a specific membrane transport protein, since the coenzyme cannot diffuse across membranes. The balance between the oxidized and reduced forms of nicotinamide adenine dinucleotide is called the NAD+/NADH ratio. 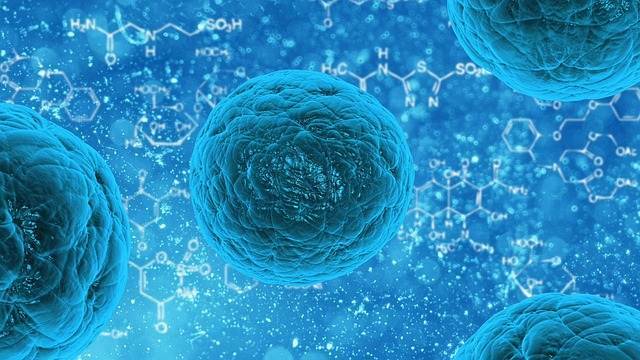 This ratio is an important component of what is called the redox state of a cell, a measurement that reflects both the metabolic activities and the health of cells. The effects of the NAD+/NADH ratio are complex, controlling the activity of several key enzymes, including glyceraldehyde 3-phosphate dehydrogenase and pyruvate dehydrogenase. In healthy mammalian tissues, estimates of the ratio between free NAD+ and NADH in the cytoplasm typically lie around 700; the ratio is thus favourable for oxidative reactions. The ratio of total NAD+/NADH is much lower, with estimates ranging from 3–10 in mammals. 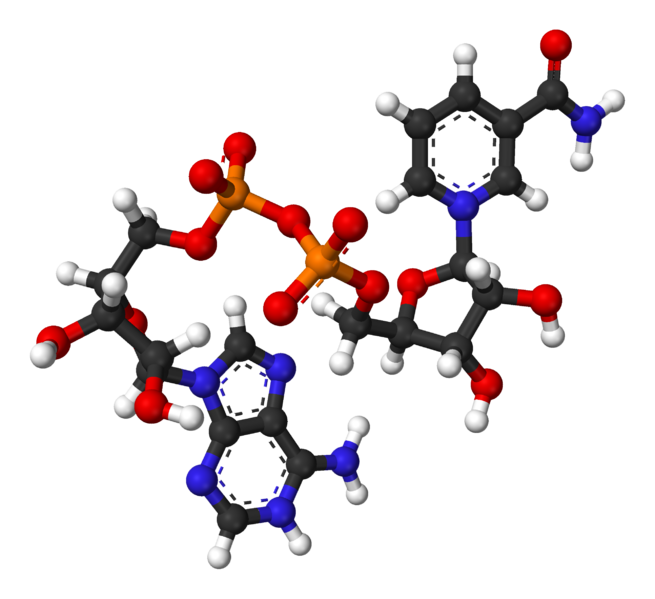 In contrast, the NADP+/NADPH ratio is normally about 0.005, so NADPH is the dominant form of this coenzyme. 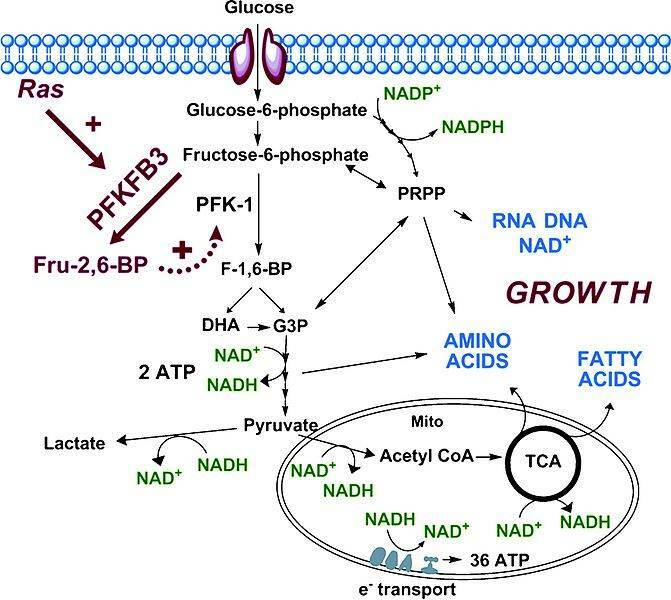 These different ratios are key to the different metabolic roles of NADH and NADPH. The majority of progenitor cells lie dormant or possess little activity in the tissue in which they reside. 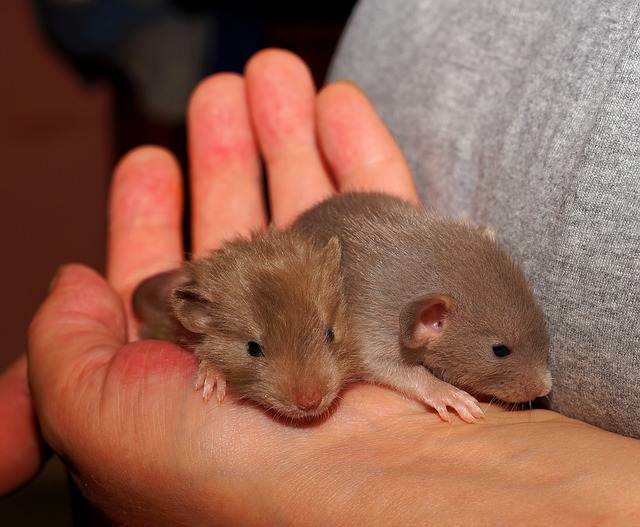 They exhibit slow growth and their main role is to replace cells lost by normal attrition. In case of tissue injury, damaged or dead cells, progenitor cells can be activated. Growth factors or cytokines are two substances that trigger the progenitors to mobilize toward the damaged tissue. At the same time, they start to differentiate into the target cells. Not all progenitors are mobile and are situated near the tissue of their target differentiation. When the cytokines, growth factors and other cell division enhancing stimulators take on the progenitors, a higher rate of cell division is introduced. It leads to the recovery of the tissue.